In case you missed it, LinkedIn has a new feature called "Endorsements." It allows users to endorse skills or expertise of any members in their network -- including skills they haven't listed. This allows potential networking partners to quickly identify your strengths. So, how should you take advantage of this new feature? Before you send a mass email asking your entire network for endorsements, remember that networking -- first and foremost -- is about connecting people with value. Whether it's through your expertise, or someone's skill, your goal should always be to bring value to your network. Begin by endorsing your network first, before asking for endorsements from others. By doing this, you'll equip others to see where their strengths lie. But this also means you have to be brutally honest. Don't just click on all the skills someone has listed. Really think about it and only highlight those areas of expertise you'd be willing to put your reputation on the line for. As a bonus, the people you endorse will be notified about your actions though LinkedIn, which means they may return the favor. Send your inner circle a personal e-mail, or give them a call and ask if they've heard about the new endorsements feature on LinkedIn. Then let them know that you've already endorsed them (step No. 1) and you'd appreciate it if they could pick one or two skills of yours to endorse. Not everything -- just one or two. That's how you can keep it personal and easy. If you're going to send an e-mail to multiple recipients, try segmenting your network into different lists according to how you met them or what industry they're in. You can then write a personal e-mail to a specific group, telling them that their in your (fill in the blank) group of people and feel they best understand your expertise in (fill in the blank) and would appreciate an endorsement -- if they feel you deserve it. This kind of approach demonstrates you've taken the time to consider them specifically. 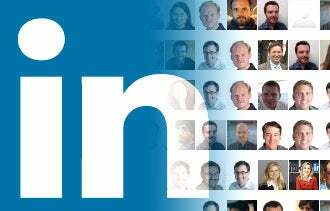 Have you started using LinkedIn's Endorsements yet? Let us know what you think so far in the comments below.